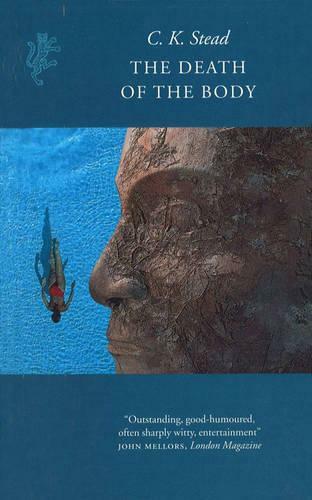 "Will appeal to lovers of the wayward novel game as it is played by Lawrence Sterne or Italo Calvino" - Jackie Wullschlager, Financial Times Professor Harry Butler is obsessed with the Mind/Body problem. Unfortunately, this is not the least of his problems. Harry's wife has turned his study into a sufi shrine where she sits cross-legged and chants for hours on end: "I am not this body..." And Harry doesn't know it yet but the Drug Squad have taken up residence in his kitchen so as to observe the movements of his neighbours and their visitors. Among these visitors, photographed by the drug squad, is one of his oldest friends. And living next door is a woman Harry may have had an encounter with in Singapore. The University is no escape from these complications on the domestic front: Harry's relationship with a student is causing concern among the Philosophy Department Women's Collective. Some of his colleagues also suspect him of going astray academically. The story takes place in Auckland, New Zealand. But who is telling the story? Why is he in Europe? Why does he keep moving from one city to another, and why does he seem to require the presence of a certain Uta Haverstrom in order to write it? The Death of the Body is a delightful blend of wit, intelligence and excitement.